International Journal of Advanced Civil Engineering Research (IJACER) is an International Open Access Journal which aims to publish all the latest and outstanding research articles, reviews and letters in all areas of CORE Civil Engineering. The Journal encompasses all areas and aspects of civil engineering including a major portion on Environmental Civil Engineering and Waste Management. Current emphasis is on the engineering relevance basis for common, complex and studied by experimental perturbation in civil-engineering. Each issue contains a series of timely, in-depth written articles by leaders in the field, covering a wide range of the integration of multidimensional challenges of civil engineering including integration issues of structural developments, urban sprawl, traffic congestion, housing shortage, environmental pollution, land speculation, sustainable development and Geographic Information Systems, scientific understanding of the impacts that intelligent transportation systems can have on accessibility, congestion, pollution, safety, security, noise, and energy. It shall also encompass environmental engineering, hydrotechnical engineering, earthquakes, water resources, hydraulic and hydraulic structures, construction management and Materials. Contributors include researchers and practitioners in industry, government, and academe. 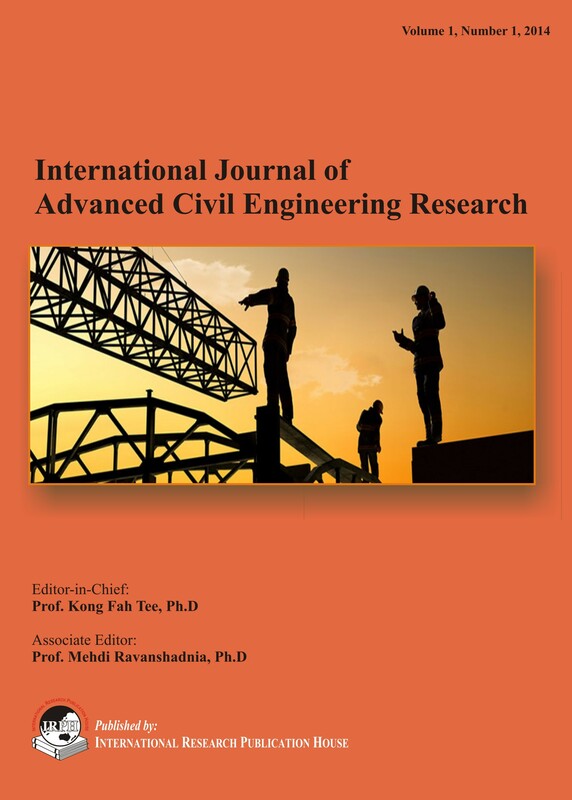 International Journal of Advanced Civil Engineering Research (IJACER) is an international research journal, devoted to original and interdisciplinary, peer-reviewed papers on theoretical and research related to civil engineering with similar emphasis on all topics. International Journal of Advanced Civil Engineering Research (IJACER) is an essential journal for all academic and industrial researchers focused on expert knowledge on all major advances research areas of Civil Engineering including the environmental aspect of civil engineering. The journal aims to provide the most complete and reliable source of information on current developments in the field. The emphasis will be on publishing quality articles rapidly. The journal will be essential for scientists and researchers who wish to keep abreast of the latest developments in the field. The publishers are confident of the journal’s rapid success.